November 7, 2018 How does a PAUSE help your workflow? This blog post was first published in October, 2012. Cell phones, e-mail and the internet were intended to help ease the stress of life, yet it would appear they actually make the work week longer, the pool of contacts larger, and the deadlines closer together. We instinctively fight to stay afloat, throwing ourselves through all sorts of hoops without a moment’s rest. After all, how can we expect to take even a moment for ourselves when our to-do pile grows bigger by the minute? Taking a step back while under stress is counter intuitive and takes practice to master. Yet, whether you wait a minute, an hour, or a day, “your ability to make better choices is sharpened, and that can lead to significantly better results for you and for your clients,” says Guilmartin. A moment of pause enables us to see the big picture of our circumstances. An angry e-mail from a client, for example, seems to demand immediate reply. But is action without true pause the best route to take in this situation? No, Guilmartin says, because during a stressful, disagreeable exchange, the chance is high that our emotions will get in the way of maintaining good relationships with those around us. In other words, are you missing something important you haven’t considered? In the angry client e-mail example, it could be you didn’t communicate sufficiently with the client at the outset or some important detail was lost in the shuffle. Pausing to reevaluate both what went wrong and how to respond will optimize the chances of moving forward with the client in a fair, productive manner. To put it another way, pausing actually increases brain performance. 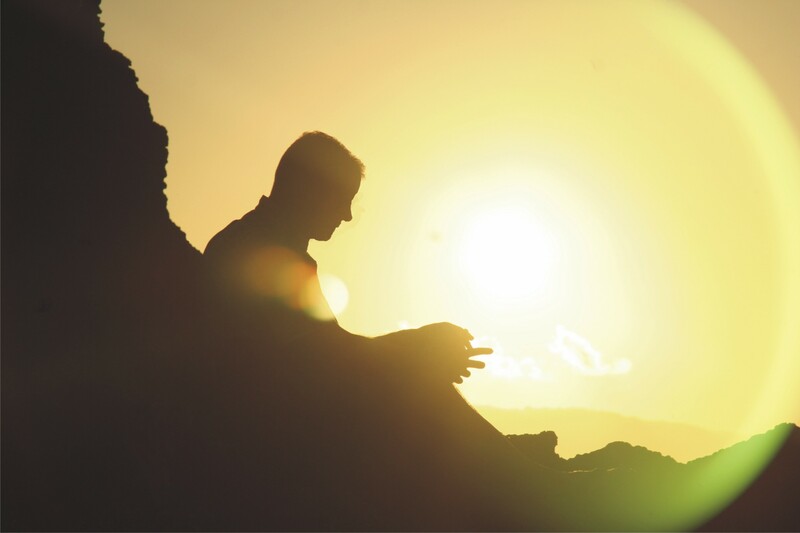 The next time you’re faced with overwhelming circumstances, remember that you have the choice to take a time-out. I encourage you take it. In so doing, you’ll give yourself the gift of perspective, time to weigh your options, and a moment to clarify your goals. Not only do you have this choice, even though it may not seem like it at the time, research shows that choosing to slow down helps you in the long run. Herbert Benson, “Are You Working Too Hard?” Harvard Business Review, November 2005, 54-56. 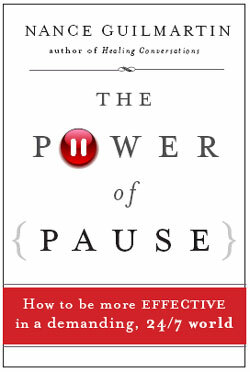 Nance Guilmartin, The Power of Pause: How to Be More Effective in a Demanding, 24/7 World (San Francisco, CA: Jossey-Bass, 2010), 36, 153. After recently reconnecting with an old friend, I was reminded of what a huge difference it can make in a relationship to simply keep up with someone. It’s easy to say that life gets in the way, but sending a text or an email to check in on someone else’s life has such a positive effect on a relationship that it is absolutely worth the effort. In work, as in life, what you put in determines what you get out. A friendship can’t flourish if you don’t put in time; likewise, your career can’t grow if you don’t nurture it. There is, of course, a certain degree of luck and chance to any career, but to leave the whole thing to the hands of fate would be to give up on yourself. One of the most important parts of career-building is networking, which certainly requires positivity and a willingness to put yourself out there. In some ways, it truly is a case of faking it ‘til you make it. You’ll never know how attending a networking event will benefit you until you try, but you can pretty much guess what staying in and watching TV will get you! Take time to learn your own natural rhythm. You’ll find different information all over the place regarding working in spurts versus staying steadily productive, but if you can find the system that works for you, you’ll see a marked improvement. Maybe you flourish by setting a timer for yourself and focusing on one task at a time for a set period, including your breaks. Experiment with different amounts of time and see how your attention span is affected. The one thing to keep in mind is all the data showing that multitasking is not only ineffective but harmful to productivity. You may feel like you’re getting more done, but having to change your focus more frequently is keeping you at a superficial level of attention, rather than allowing you to dive deeper. When it comes to your personal health, fewer things are more important. If you’re not getting enough sleep, eating well, or exercising regularly, your mental and emotional wellbeing will suffer. Take breaks when you need to; walk away from your desk, stretch your legs, and go mingle with co-workers from time to time. Remember: Physical health isn’t the only health. You have to take care of your mental and emotional sides as well. If you’re feeling overwhelmed, underappreciated, or just plain worn out, your work will inevitably suffer. To get back in balance, I advise you to schedule intentional breaks. Whether this be an occasional afternoon to yourself (to drink coffee in a café, grab a massage, or go on a family outing) or a two-week vacation, it’s a good idea to distance yourself from the office every once in a while. This allows you to rest and rejuvenate, but it also gives you perspective—a chance to reflect on the bigger picture. Ultimately, it all comes back to putting in effort before you expect positive results. Simplifying yourself down to terms of input and output may be a little reductionist—remember that you are a complex and wonderful being, and you need to take care of yourself as well. Take some time each day without any external stimulants coming at you—no television, no social media, no radio—just you, checking in with yourself. If you put energy into maintaining your own health, you’ll be able to put energy into your career. Like a renewed connection with a friend, you’ll find there are tangible benefits to revitalizing your approach to your work.